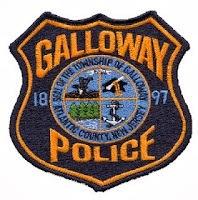 Galloway Township Police responded to 840 calls for service during July 13, 2014 through July 19, 2014. Additional statistics include: 5 Burglaries, 13 Motor Vehicle Accidents, 42 Tickets issued, 0 Driving While Intoxicated, 26 Arrests, 18 Domestic Violence, 33 Fire Calls, 83 EMS Calls and 0 Juvenile calls. Edward Wagner, 27, of Brooklyn NY was arrested by Ofc. Ray Casanova for assault and resisting arrest on July 13. John J. Thompson III, 24, and Jacob M Strohm, 18, both of Galloway were arrested by Ofc. Matt Worth for harassment on July 14. Jean Rodson, 21, of Galloway was arrested by Ofc. Scott Winneberger for possession of less than 50 grams of marijuana on July 16. Jullius J. Bechard, 19, of Hamilton Twp. was arrested by Ofc. Dominic Fabrizo for receiving stolen property on July 16. Robert W. Bunch Jr., 67, of Galloway was arrested by Ofc. Kyle Kuhar for driving while suspended for a prior DWI on July 18. Annmarie Roche, 27, of Galloway was arrested by Ofc. Jacqueline Crocker for receiving stolen property, hindering apprehension, and possession of a hypodermic needle on July 18. Patricia A. Vogelman, 52, of Galloway was arrested by Det. Bryan Casey for tampering with evidence of a crime on July 19.